A remastered 2-in-1 edition of the all-time classic hit from one of Japan's most beloved creators, available for the first time in a format faithful to the original work. 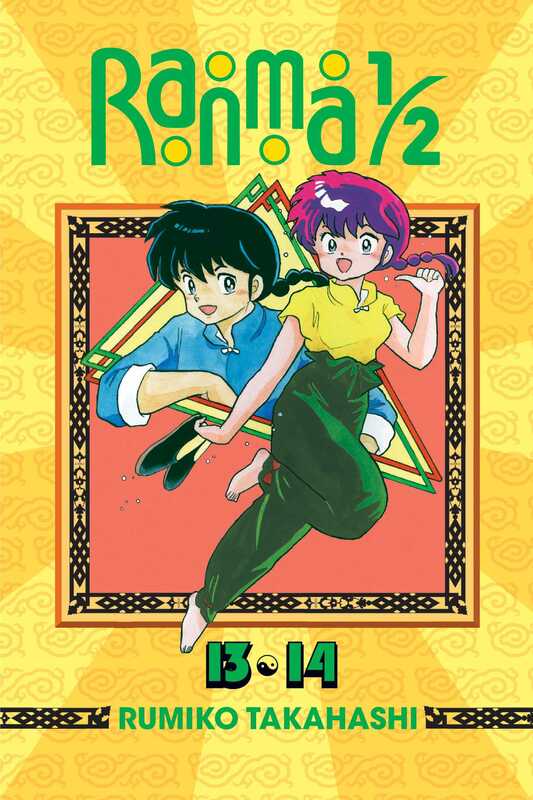 One day, teenage martial artist Ranma Saotome went on a training mission with his father and ended up taking a dive into some cursed springs at a legendary training ground in China. Now, every time he's splashed with cold water, he changes into a girl. His father, Genma, changes into a panda! What's a half-guy, half-girl to do? Ranma learns what being a loser feels like for once when Happosai applies a strength-sapping technique that leaves him weak as a baby! The humiliation continues for our emasculated hero when the only way Ryoga can rid himself of the Mark of the Gods (actually nothing more than a martial arts calligraphy doodle on his stomach) is by losing a fight to Ranma. Fox-Fu…Cat-Fu…Flat-Frog Fu…nothing seems to work against Ryoga! Has Ranma lost his edge for good?